Length: 19 hrs, 11 mins. On the shore of the Sea of Galilee, in first century Palestine, a spirit possessed a woman, Mary of Magdala -- a generous and learned woman of business. Mary drew together a community of outcasts, rescued from lives of poverty and humiliation. Longing for children, she brought into her circle a Greek slave girl, Demetria, and adopted her as a daughter. Though she was a devout Jew, it was natural for Mary to show compassion to all those who were looked upon as "other" -- gentile, prostitute, and leper. Because of the demon that afflicted her, Mary resolved never to wed. Still, three men loved her. Marcus Quintius Severus, quintessential Roman noble, could have any woman he wanted. But not this woman, for he had made a sacred vow never to speak to her of his love. Mummius, gifted Egyptian scribe and magus, served Mary as steward and physician. Jesus, itinerant rabbi, recognizing in Mary the Wisdom of God, liberated her by driving out her demon in a terrible battle. This novel is the story of how Mary brings her spiritual power to light as leader and beloved disciple, the one who truly understood Jesus' message and lived it fully. After a successful 20-year career in business as a manager and consultant, Susan Little turned to writing. 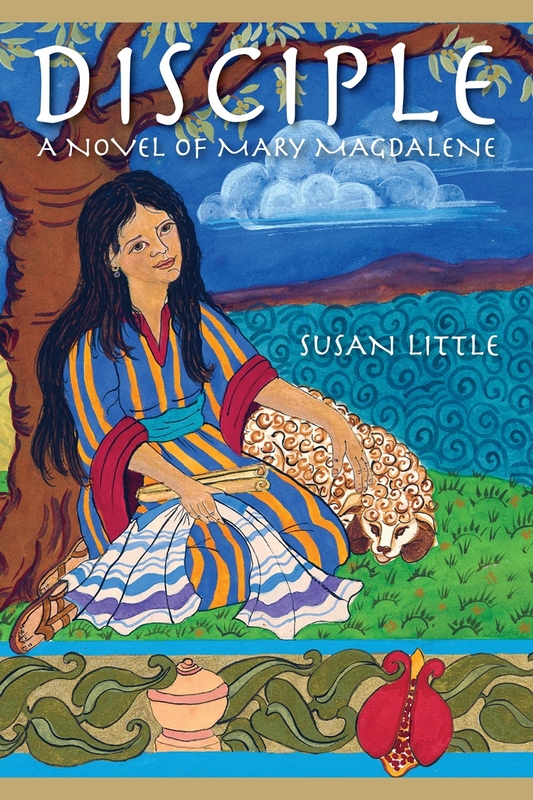 Her novel, Disciple: A Novel of Mary Magdalene, is based on Little's long study of Biblical scholarship, combined with her research trips to the Holy Land and her fascination with Mary Magdalene's pivotal role in feminine spirituality. Little's scholarly work appears in Goddesses in World Culture; her non-fiction is featured in an anthology, Memoirs in the Light of Day; and a personal essay on her pilgrimage to the ancient ruins of Magdala in Israel was a prize winner in the Pacific Northwest Writers Association 2008 Literary Contest. Little received her undergraduate degree from Harvard University. She later earned a master's degree through the Leadership Institute of Seattle (City University) and went on to teach the science of human motivation and group dynamics. Currently she leads a sacred dance ministry and provides trainings and workshops on a variety of topics relating to spiritual development. Her website is www.disciplemary.com. Richard B. Panzer was born during the Cuban Missile Crisis in northern New Jersey. His formal academic background includes western veterinary medicine (Cornell University), traditional Chinese veterinary medicine (Inner Mongolia College of Animal Husbandry), science (University Of Florida), education, and languages. He currently makes a living as a veterinary acupuncturist in and around Seattle. Disciple: A Novel Of Mary Magdalene by Susan Little is Panzer's first audiobook narration.